Mixture modeling is a way of representing populations when we are interested in their heterogeneity. Mixture models use familiar probability distributions (e.g. Gaussian, Poisson, Binomial) to provide a convenient yet formal statistical framework for clustering and classification. Unlike standard clustering approaches, we can estimate the probability of belonging to a cluster and make inference about the sub-populations. For example, in the context of marketing, you may want to cluster different customer groups and find their respective probabilities of purchasing specific products to better target them with custom promotions. When applying natural language processing to a large set of documents, you may want to cluster documents into different topics and understand how important each topic is across each document. In this course, you will learn what Mixture Models are, how they are estimated, and when it is appropriate to apply them! In this chapter, you will be introduced to fundamental concepts in model-based clustering and how this approach differs from other clustering techniques. You will learn the generating process of Gaussian Mixture Models as well as how to visualize the clusters. In this chapter, you will be introduced to the main structure of Mixture Models, how to address different data with this approach and how to estimate the parameters involved. To accomplish the estimation, you will learn an iterative method called Expectation-Maximization algorithm. This chapter shows how to fit Gaussian Mixture Models in 1 and 2 dimensions with flexmix package. The data used is formed by 10.000 observations of people with their weight, height, body mass index and informed gender. 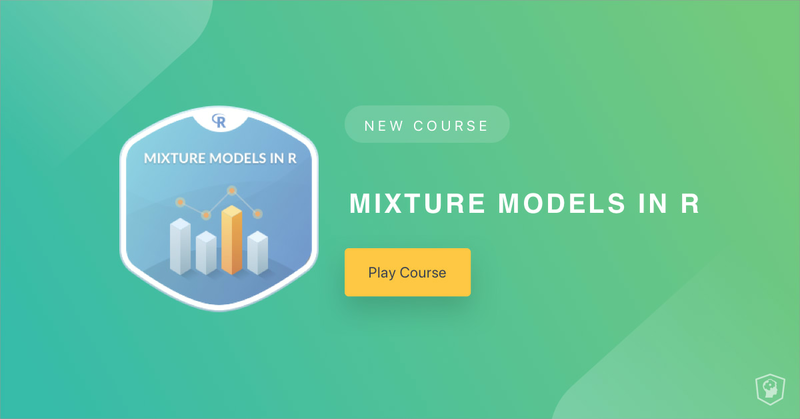 In this module, you will learn how Mixture Models extends to consider probability distributions different from the Gaussian and how these models are fitted with flexmix. 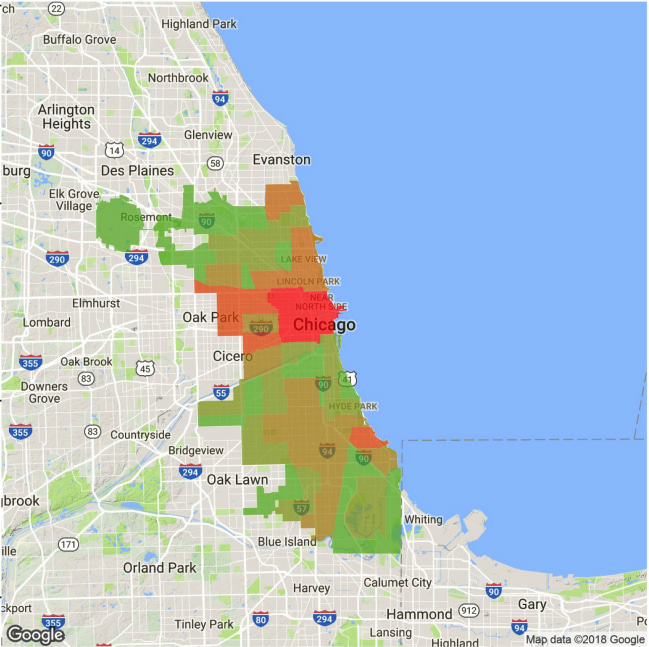 The datasets used are handwritten digits images and the number of crimes in Chicago city. For the first dataset you will find clusters that summarize the handwritten digits and for the second dataset, you will find clusters of communities where is more or less dangerous to live in.